European copyright law for recordings differs from the U.S. law. Recently in the EU, unreleased music loses its copyright after 50 years. This has opened up a small industry in the EU of what Barbra Archives would call “endorsed bootlegs” — meaning that any individual with access to tapes can legally press and sell their own recordings, regardless of the artist who recorded the tracks or the record company that originally released them. What does this mean to Streisand fans? If you take a quick look at Amazon.co.uk's digital music albums, there are hundreds of Streisand albums being sold for £9.99 or less which use tracks from 1962's I Can Get it For You Wholesale up to 1965's My Name is Barbra albums. Most of these albums contain previously-released material that many Streisand fans already own on CD. In fact, none of the tracks being sold include anything new or unreleased (with a few exceptions, below) and all of these recordings are readily available officially from Barbra's record company, Columbia Records, as a CD or even digitally at iTunes or Amazon. Finally, many of these digital albums have very bad artwork, have re-ordered the tracks, and provide no background, history, or context for the tracks they've included. The Netherlands label (Remember Records) who produced this CD have taken advantage of European copyright laws and, therefore, several of the audio sources on this CD are either from the original vinyl, or from bootleg YouTube videos that Streisand fans have posted. There's even a track that was taken from this web site (obviously ignoring my terms and conditions! Please don't make a profit from my work!). Otherwise: the tracks on this CD are from Pins and Needles and I Can Get It For You Wholesale —which are still commercially available in the U.S. on CD and digitally (i.e. iTunes) from Columbia Records. I've received several emails from confused Streisand fans about the legitimacy of this CD. 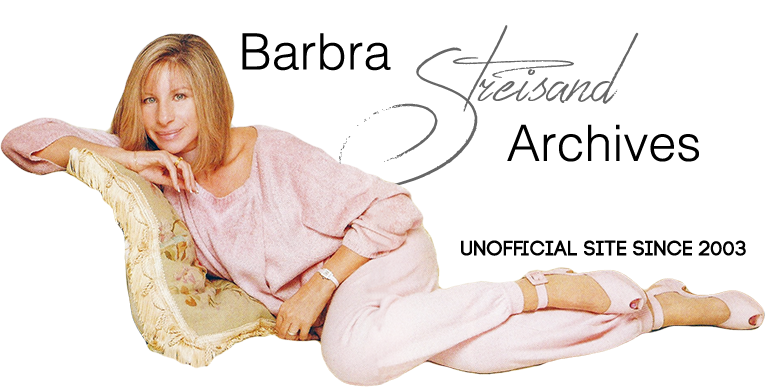 Barbra Streisand In the Beginning is a slickly-packaged bootleg CD. None of the source audio comes directly from the vaults of Columbia Records. It is not a part of Streisand's Columbia Records discography, nor was it sanctioned by Barbra or released by Columbia. That being said, there are many tracks on this CD that Streisand fans may not have heard. The demo songs are from a disc Barbra recorded when she auditioned for RCA Records in 1962. And the singles are all from Columbia 7-inch vinyl, probably ripped, again, from fan-made audio files. Again, let's talk about quality and legitimacy: Unless “Mint Audio” purchased the original RCA acetate disc at auction, they are probably sourcing these tracks from fan-traded, bootleg audio files. Their claim that the CD has “sterling, exquisite sound quality” is curious, especially since Pro Tools is available to even amateur audiofiles these days. Finally, In the Beginning's “beautifully packaged” and “fascinating liners” [according to their website] include plagiarized text from Barbra Archives, which is used verbatim on their insert —they didn't even try to rewrite it, which is pretty sloppy and illegal. And the beautiful artwork was appropriated from an artist who was not told his paintings would be appearing on a $16.95 bootleg CD.